CHAPEL HILL, N.C. – Researchers in the UNC Early Brain Development Study tracking the development of the brain's emotion circuitry in infancy found that adult-like functional brain connections for emotional regulation emerge during the first year of life. And the growth of these brain circuits during the second year of life predicted the IQ and emotional control of the children at 4 years old, suggesting new avenues for early detection and intervention for children who are at risk for emotional problems. These results were published in Biological Psychiatry: Cognitive Neuroscience and Neuroimaging. "If confirmed in future studies, these findings suggest that it may be possible to identify children at risk for behavioral difficulties associated with psychiatric disorders very early in life, allowing early intervention to reduce risk and improve long term behavioral outcomes," said John Gilmore, MD, co-senior author of the study, the Thad and Alice Eure Distinguished Professor and Vice Chair for Research & Scientific Affairs in UNC's Department of Psychiatry, and director of the UNC Center for Excellence in Community Mental Health. 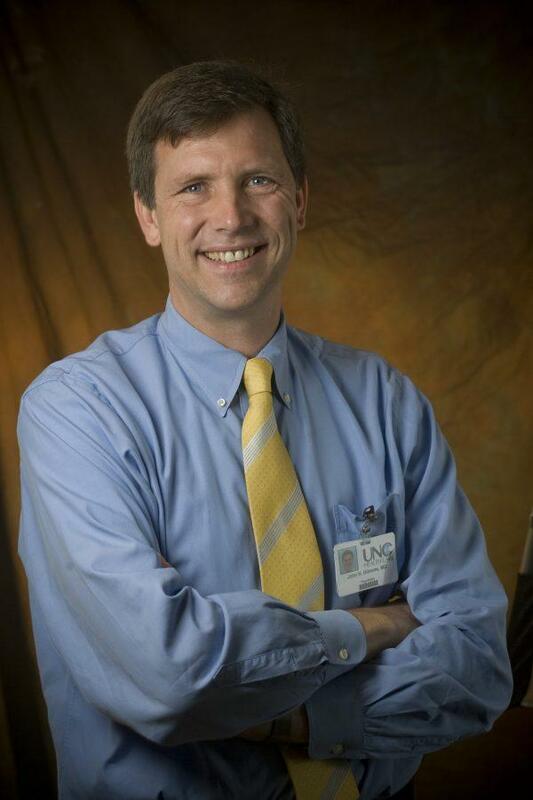 The results were based on an analysis of brain imaging findings from 223 infants in the ongoing UNC Early Brain Development Study. Gilmore and colleagues focused on a core hub of emotion processing in a region of the brain called the amygdala and its connections with other emotion-related brain areas. Atypical processing in the amygdala is linked to disorders such as depression, anxiety, and schizophrenia in adults. The new findings that track the development of the emotional control system during infancy provide a clue as to when atypical development may lead to enduring effects on emotion and cognition later in life. "Through the lens of functional MRI, this study shows that the brain circuits essential for successful emotional regulation in adults are absent in neonates but emerge in 1 and 2-year-olds, providing the foundation for successful emotional development," said co-senior author Wei Gao, PhD, who was a faculty member in the UNC School of Medicine when this work began. Now he is an associate professor and director of neuroimaging research at Cedars-Sinai Medical Center in Los Angeles. Growth rates of the emotion circuitry during the second year of life predicted anxiety and emotional regulation in the children at 4 years old. Growth also predicted IQ at 4 years old, indicating its importance not just for the development of emotional control later in life, but also cognition. Co-authors of the study were Andrew P. Salzwedel, PhD; Rebecca L. Stephens, PhD; Barbara D. Goldman, PhD; and Weili Lin, PhD. This work was supported by the National Institutes of Health (R01DA DA042988, R21NS088975, R21DA043171, R03DA036645 to WG; T32-MH106440 to RLS ; U01MH110274 to WL; and R01MH064065 and R01HD05300 to JHG), and Cedars-Sinai Precision Medicine Initiative Award and institutional support to WG.